As the market for gluten free foods continues to grow and change, many people are turning to a gluten free lifestyle for a number of reasons. Some people, however, are diagnosed with celiac disease, which is more than just a gluten sensitivity. For people with celiac disease, eating is often uncomfortable and sometimes painful; children with the disease often experience difficulties gaining weight. Naheed Ali, MD, is the author of The Obesity Reality (Rowman & Littlefield, 2012), Understanding Alzheimer’s (Rowman & Littlefield, 2012), Arthritis and You (Rowman & Littlefield, 2013), Understanding Parkinson’s (Rowman & Littlefield, 2013), and Understanding Lung Cancer (Rowman & Littlefield, 2014). He has appeared as a special guest on numerous talk shows and has been quoted in many national print magazines and TV websites across the United States, including Woman’s World, Prevention, Whole Living, MSN.com, USAToday.com, and others. This well-organized book provides an overview of the disorder including anatomy and causes followed by information on diagnosis and treatment. While Ali discusses options such as surgery and medication, he is a proponent of natural remedies for celiac disease. 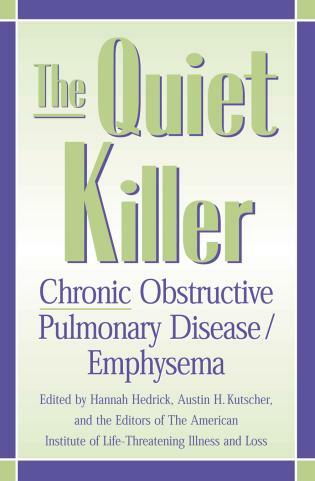 . . .Those who want a more technical description of celiac disease will find this book useful. [Understanding Celiac Disease: An Introduction for Patients and Caregivers] is a comprehensive, evidence-based review of the history, pathophysiology, related disorders, research, ramifications, diagnosis, and treatment of celiac disease. Chapter 7, titled the 'Mental Outcomes of Celiac Disease' was one of the most detailed reviews I have come across of all of the psychiatric and behavioral problems that have been associated with celiac disease. . . .The specific types of pain associated with celiac disease were discussed in chapter 9. I found this fascinating as I have personally experienced severe pain as a result of being 'glutened' in the past, but I have not come across much written on this subject. . . .I was also intrigued by chapter 10 which was about natural treatments for celiac disease that may be used in addition to the gluten-free diet. . . .Lastly, I found chapter 13, 'Celiac Disease and Exercise' to be fascinating as well. 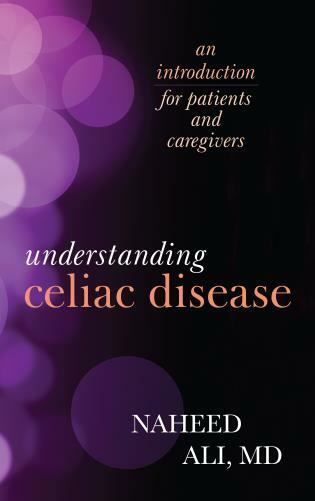 Naheed Ali’s book comes at a time when the diagnosis rate of celiac disease is increasing dramatically, as a result of both, heightened perception of this entity by health providers, and especially a more widespread realization by the public that gluten intake may be responsible for symptoms within and without the digestive tract. The book is interesting and thoroughly researched and documented. It represents a thorough, well documented overview of celiac disease and its multitude of manifestations, that raises many interesting questions and will hopefully stimulate further investigation. Understanding Celiac Disease explores the underlying causes, explains the biology, details the methods for diagnosis, and describes the symptoms and potential treatments. In easy to understand language, Dr. Naheed Ali helps demystify the subject for those who suffer, those who suspect they might suffer, and those who help care for those diagnosed with celiac disease.